Sweden has been on the Stoner map recently with the appearance of bands such as Graveyard, King Hobo and others. Switch Opens, on the other hand, have settled mostly in the more sludgy and doomy side of the movement. Their main influences: Mastodon, Soundgarden and Orange Goblin tossed together with some progessive and psychedelic elements. The band name is actually taken from a Soundgarden song and the first track named Square actually sounds like a tribute to them, but in a more agressive manner. Let's not fool ourselves though. This is not a Soundgarden tribute band. There is a lot more stuff going on here. 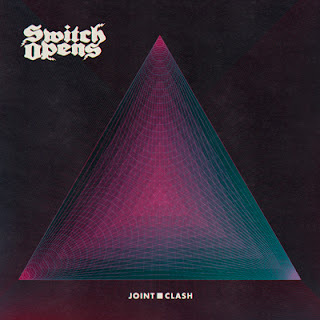 Joint Clash is a very ambitious record that takes you many places. From sludge, to psychedelia and even to prog rock. The music has many layers and during these eight tracks we never feel that we are listening to the same track over and over again. There are a whole bunch of hypnotic riffs, but there are also the more sludge oriented ones that will crush you immediately. The drums are also a big part on this record. Varying from tribal rythmns to pounding to fast paced. The standout instrument on this record has to be the bass. Many of the tracks here are bass driven and have a very heavy tone to them. All this mixed with Jesper's ragged vocals makes them crushing foursome. Overall, this is a heavy and intense record that will seduce music lovers that have an adventurous spirit. It is definitely not a predictable record and not easy to absorb in only one listen. It requires a few before you fully understand it but once you do, you get addicted to it! Well, Mirror Man, the song you've posted here sure sounds good. I'll definetly check out their music. Diggin' the tune! Great write up! I'm late getting around to this review. Excellent job Cowboy. Love the music.